The Garden Grove Police Department (GGPD), Orange County Sheriff’s Department (OCSD), andSanta Ana Police Department (SAPD)investigated these cases, as well as the Orange County Human Trafficking Task Force (OCHTTF). 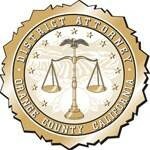 Members of the OCHTTF and the OCDA work proactively to protect women and minors from falling victim to commercial sexual exploitation. OCHTTF is a partnership between the APD, California Highway Patrol, Costa Mesa Police Department, Homeland Security Investigations,Irvine Police Department, Newport Beach Police Department, OCDA, OCSD, SAPD, and community and non-profit partners. Deputy District Attorney Kathleen McHale of the HEAT Unit prosecuted these cases.